The Whitman Coin & Collectibles Baltimore Expo will be collecting donations to benefit the American Red Cross. Donate at the Information Booth (#1612), and help those affected by Hurricane Sandy. You’ll be helping to provide food, shelter and other critically needed assistance. 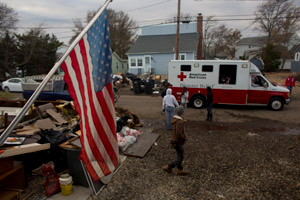 For more information about the American Red Cross, please call 1 800 HELP NOW or email info@usa.redcross.org. The American Red Cross name is used with its permission, which in no way constitutes an endorsement, express or implied, of any product, service, company, individual or political position.